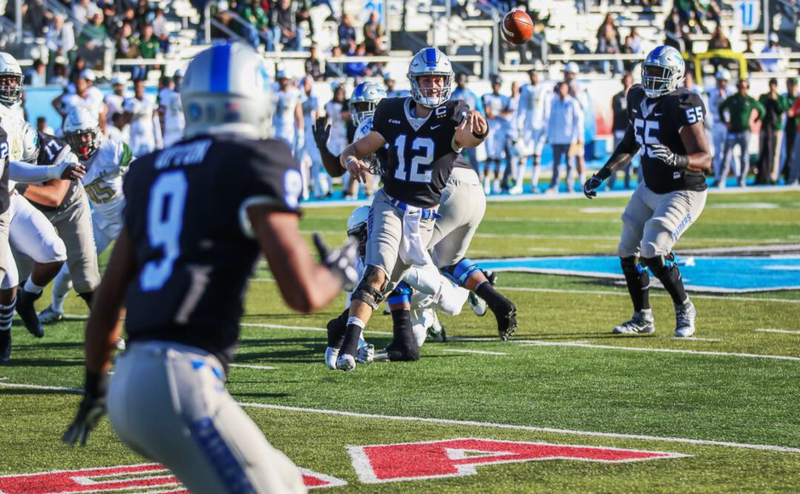 With the 2017 college football season on the horizon, the Middle Tennessee Blue Raiders will rely on a mix of incumbents and newcomers to erase their bowl misfortune of the last couple seasons and end their Conference USA Championship drought. 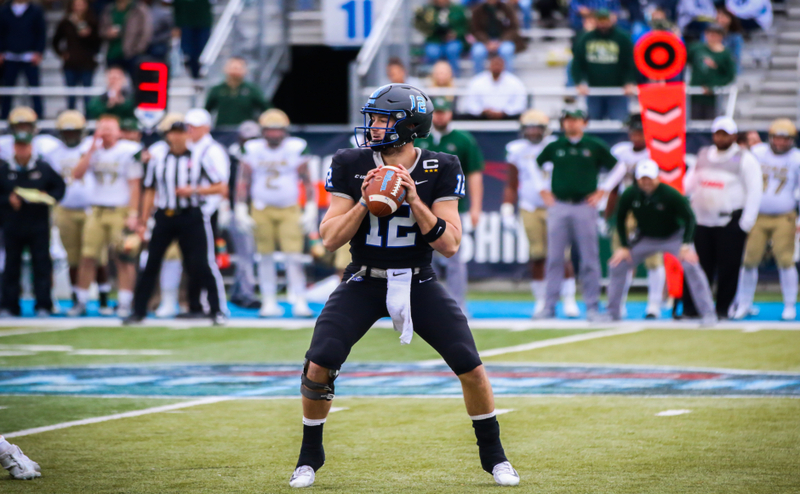 With a third place finish in C-USA’s eastern division in 2016, the Raiders were in the mix to make a run at a conference title until quarterback Brent Stockstill went down with a collarbone injury. Middle Tennessee finished the season 2-2 in their final four games and their 8-4 record was good enough to get them to the Hawaii bowl against the Hawaii Rainbow Warriors. Stockstill returned to action in the bowl game, but couldn’t sustain a hot start in MT’s 52-35 loss to Hawaii. Getting back to the promise land is a task that the 2017 version of the Blue Raiders can definitely accomplish. After revamping the defense and returning some key pieces on offense, MTSU has a chance to give their fans a special 2017 season. Look for the Raiders to put up big numbers in the passing game with the return of a healthy Stockstill and receivers Richie James and Ty Lee. Stockstill was on pace to throw for over 4,000 yards last season before his injury and if kept healthy, should be in the top ten in the nation in passing yards and touchdowns. Lee and James may stack up to be All-American receivers, as the two talented receivers accounted for a total of 2,324 yards receiving to go along with a combined 21 receiving touchdowns. The duo also combined for 446 rushing yards and five more touchdowns on the ground. The biggest loss for Middle Tennessee this offseason was running back I’tavius Mathers. Mathers left MTSU as one of the best running backs in school history, despite only playing one season in a Blue Raider uniform. The Murfreesboro native set the university’s single season rushing record last season with an astounding 1,561 yards to compliment his other school record of 2,194 all-purpose yards. To fill the hole left by Mathers, the Raiders have a couple of guys that should garner some carries this season. Terelle West has been talked about as the “starter” through this spring, although it is unclear who will win the job. West had 40 carries last season for 168 yards. The man that looks to give West the biggest run for his money is redshirt senior Shane Tucker. Tucker was the starter for MTSU in 2015, but missed last season due to injury. Tucker ran for 413 yards on 127 carries and scored twice on the ground in 2015. Even though they are replacing a big contributor, the team is confident that the players they have will get the job done and exceed all expectations. MTSU is returning all three of their top weapons on offense this year in Stockstill, James and Lee. Look for all three of these players to continue to turn heads and receive national attention at the end of the year. The biggest weapon coming back for the Blue Raiders is Stockstill, who holds the school record for passing touchdowns with 61 and passing yards per game with 303.3. The redshirt junior’s tally for passing yards per game also places him in fourth place nationally. After a late season injury, Stockstill returned to action for the Hawaii Bowl and tossed four touchdown passes to go along with 432 yards for one of the best performances of the year for him despite the collerbone injury. The Raiders were cautious during the spring and sat Stockstill out of Spring drills and the Blue-White Spring game, but he should be ready to go come August. 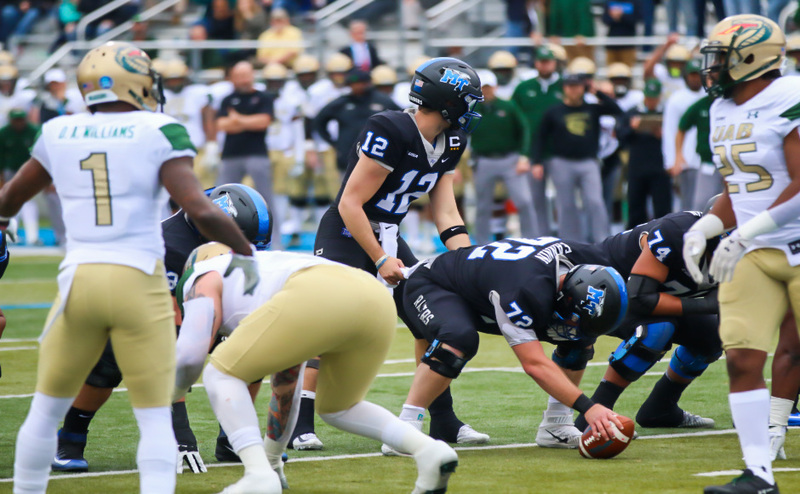 Look for Stockstill to continue to wow spectators this season, as he will be facing four teams in which he threw at least three touchdown passes against a season ago. With James and Lee back in his arsenal, don’t be surprised if Stockstill throws for his first 4,000 yard season this year. Stockstill’s number one target this year should be none other than his classmate Richie James. As one of the most dynamic players in college football, James leads the nation in receptions (213) and receiving yards per game (114.3) in the last two seasons. James’ 3,645 all purpose yards also prove his abilities as one of the most electric players in the game today. James took it to the house a total of 16 times last season, 12 times through the air and four times on the ground. James has yet to score as a punt returner, but he has provided consistency with the job as he averaged 7.5 yards per return in 17 tries last season. In order to continue scoring at the pace they did last season, the Raiders will continue to get the ball into James’ hands as often as possible. 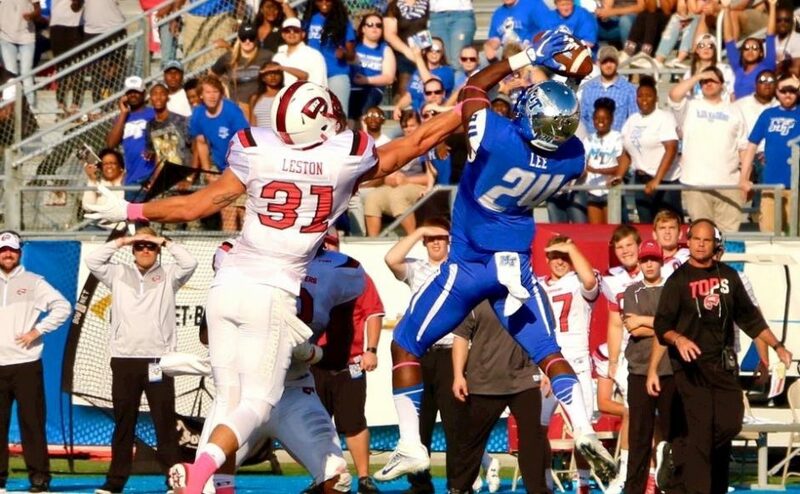 As a Freshman All-American, Ty Lee gave the Blue Raider offense yet another dynamic weapon last season. With a skill-set much like that of James, Lee was able to give the Raiders a boost on the ground and through the air last season. The freshman’s 61-yard touchdown run against Charlotte sealed a key victory late in the season for MT. Through the air, he caught 63 passes for 699 yards and scored nine touchdowns. For the team to be successful, Lee must continue to be a threat to opposing defenses this year, as he can take the pressure off of James and open up the field for the rest of the team. Franklin knows that the offense goes as these three do, so these two receivers must be at the top of their game. While the offense was dynamic, MTSU’s defense had one of the worst years they’ve had in school history this past season. The unit gave up an average of 35.8 points per game, which led them to part ways with defensive coordinator Tyrone Nix. The Raiders hired former Syracuse head coach Scott Shafer to take over as the new defensive coordinator, and the Blue Raider defense responded well under their new boss during the spring. The secondary saw cornerback Jeremy Cutrer graduate and head to the NFL, but returning players include Mike Minter, Daryl Randolph and Charvarius Ward. Safeties Alex Dale and Jovante Moffatt are also returning in the defensive backfield. 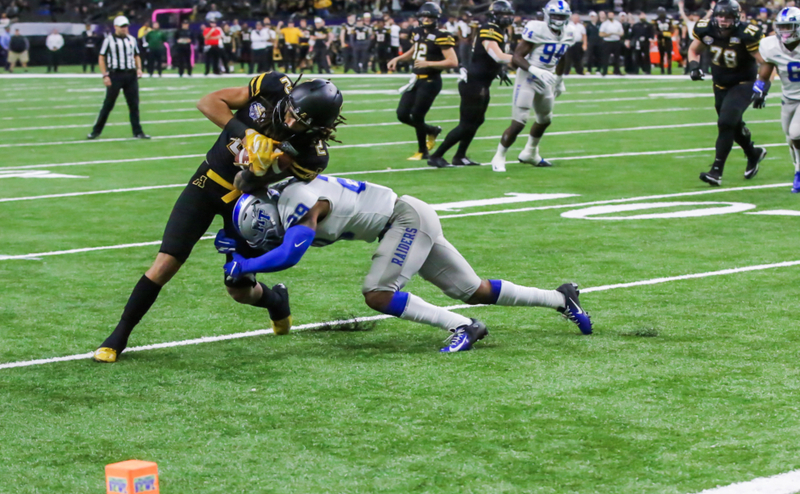 After giving up an average of 250.8 yards per game through the air this past season, the Middle Tennessee secondary must continue improving and keep opposing offenses from getting huge chunks of yardage in the passing game. While they have more growth ahead of them, Shafer likes his options in the secondary. A spot where the Raiders struggled mightily last year was defending against the run. MTSU gave up an average of 198.7 yards per game on the ground last season. The front seven spent a lot of time over the spring revamping their approach to opposing running attacks. The Raiders lost a lot in the front seven, losing players like Steven Rhodes, Chris Hale and Shaquille Huff. The Raiders will lean on veteran linebackers DJ Sanders, Miles Harges and Darius Harris to anchor the front seven, along with Malik Manciel and Missouri transfer Walter Brady to hold things steady on the defensive line. Though they struggled last season, Shafer is focused on the future of the defense rather than the past. Middle Tennessee has not won a conference title in 11 seasons, haven’t won a bowl game in eight and have not had a ten-win season in eight years. A big question that this team will answer this season is whether or not they can win the big game. The Raiders have consistently been able to get to bowl games through the past decade, but have fallen short in all but one of them. It’s been a long time since the Raiders held up the 2009 New Orleans Bowl trophy and with a team that has talent similar to the Dwight Dasher and Phillip Tanner-led Blue Raiders, the team’s chances are better than ever before. Despite opening the season with three power five opponents (Vanderbilt, Syracuse and Minnesota), the Blue Raiders have a very manageable schedule this year. 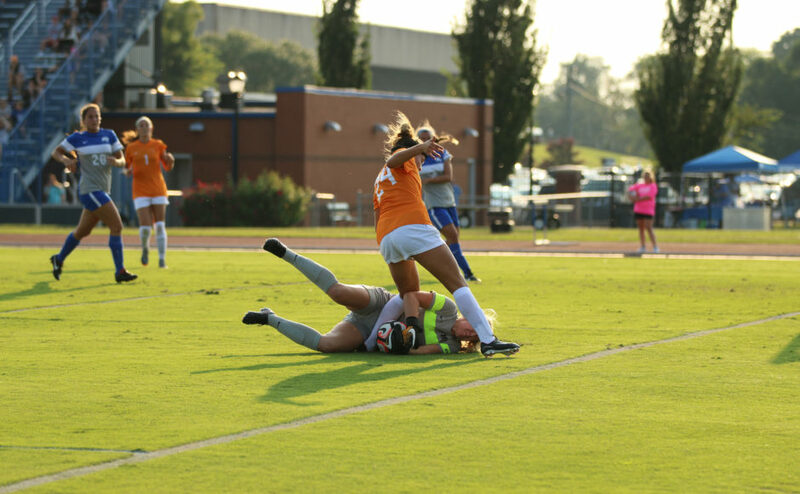 Middle Tennessee defeated Bowling Green, FIU, FAU, Charlotte and Missouri last season. The 2017 schedule gives the Blue Raiders a chance to make a name for themselves and continue building a program that has platteaued as of late. With the weapons the Raiders bring to the table this season, a ten-win season, conference title and bowl win look to all be reasonable expectations for this program coming into the 2017 season. Follow MTSU football reporter Anthony Fiorella on Twitter at @A_Fiorella74 for more coverage.